Like many, I love to eat bacon. I was beyond excited when my friends at Olson Engage asked me to create a few fun edibles out of bacon for their client Oscar Mayer for Easter. 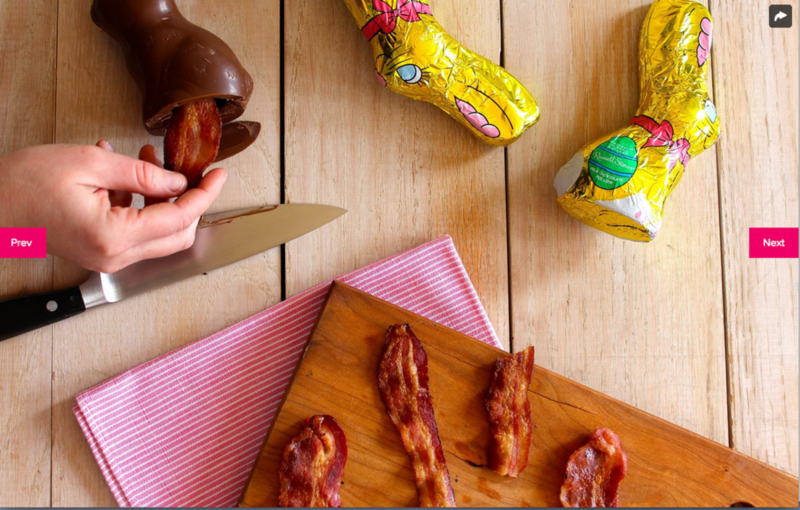 Bacon baskets, bacon stuffed bunnies, bacon Easter grass... I loved it, seems like the folks at PopSugar loved it too!